This is probably the best dehydrated backpacking food I’ve ever tasted. 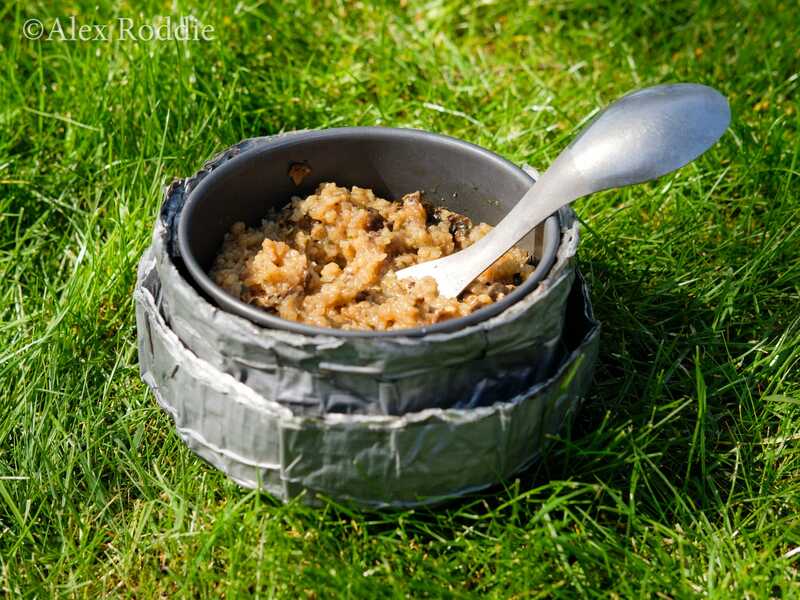 Lightweight food for backpacking and expeditions has always been a bit hit and miss. If you want maximum energy without the weight, you need to remove the moisture content. That means dehydration, which (in some brands, although I’m naming no names) can ruin texture and flavour, or even produce meals that bear only passing resemblance to real food. Dehydrating your own food at home is an option, but this is time consuming, with a high initial expense, and requires some experimentation to get right. So when I recently heard about a new brand of backpacking food on the Twitter grapevine, I was intrigued. The supplier got in touch and offered to send me a taster selection for feedback. Firepot meals are handmade in Dorset, with locally sourced ingredients, and have a strong focus on quality. The supplier claims that their process – cooking the complete one-pot meal like you would at home, then dehydrating after cooking – helps to preserve flavour and texture better than other brands. No artificial preservatives or other synthetic additives. Shelf life is over two years. Each pack weighs 135g. Calorie content varies from 500-700 kcal, and is printed clearly on the front of each pack. Larger portions (with 1,000+ kcal per pack) are available upon request. Of the four different meals available at launch, two are vegetarian. Instructions are included for either rehydrating in the pouch as usual, or cooking in a pan. So far so good. I tried out a pack of porcini mushroom risotto for lunch today, and I can confirm that Firepot’s claims about flavour and texture are completely justified. This stuff is a cut above the average when it comes to dehydrated rations. In fact, it’s the best I’ve tasted. Once rehydrated, it’s indistinguishable from a real meal you might cook yourself; it isn’t a textureless mush, like other brands I’ve tried. The flavour is also excellent. The packaging is also extremely helpful, with clear instructions. I chose to rehydrate this one in my pan, then used my pot cosy to simmer for ten minutes. Something I’d like to see added to the packaging is water quantities specified in millilitres – this would be really helpful for people who want to save weight by repackaging their food in Ziploc bags (I do this all the time on the trail). You can work this out yourself before leaving home, but it would be useful to have it printed on the pack. Also, I’d like to see an expanded range, with more options. I appreciate that this is still a new brand and I’m sure more varieties are in the pipeline. The price per standard pack is £6.50. That’s slightly more expensive than some competing brands, but on the other hand I think the superior quality is absolutely worth it. 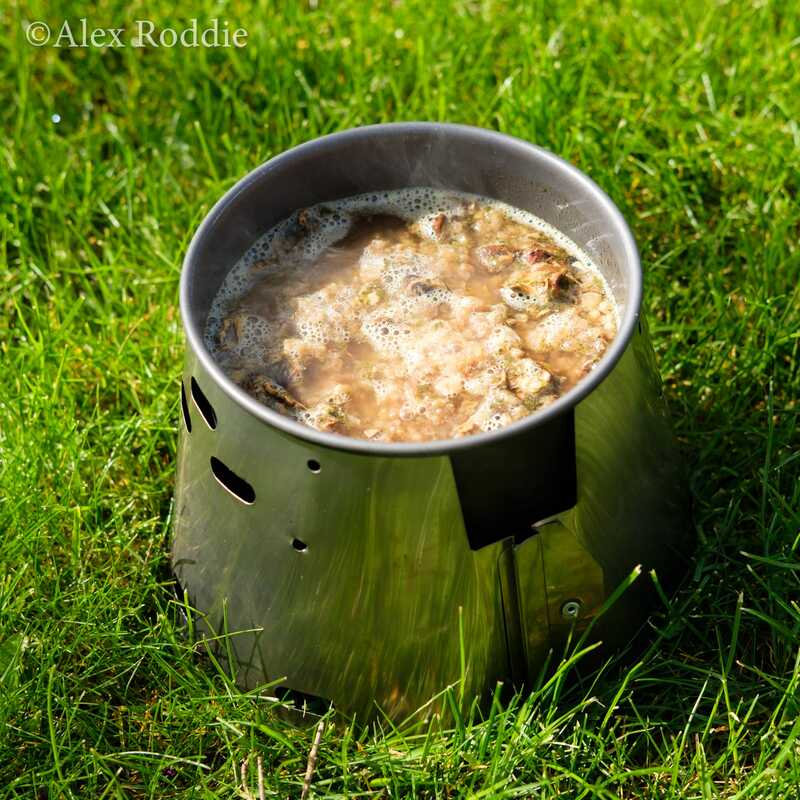 So, will I be stocking up on Firepot meals before my next backpacking trip? 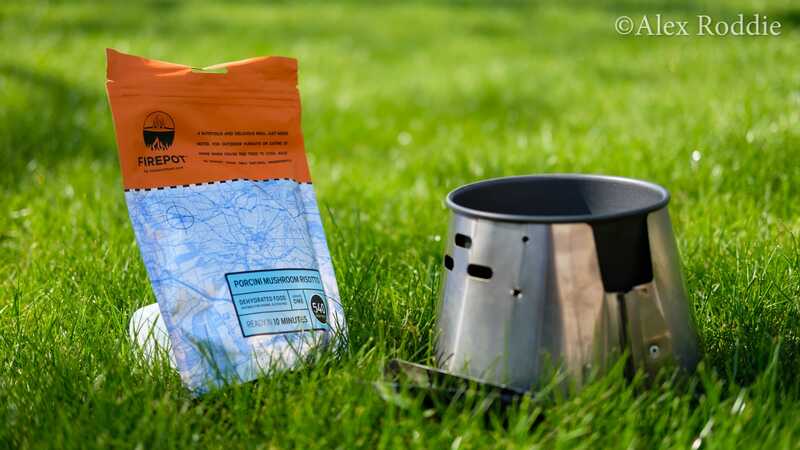 Although the cost of specialist dehydrated food means I will never use it for every single meal on the trail, I always take a few packs with me – and Firepot has become my brand of choice. 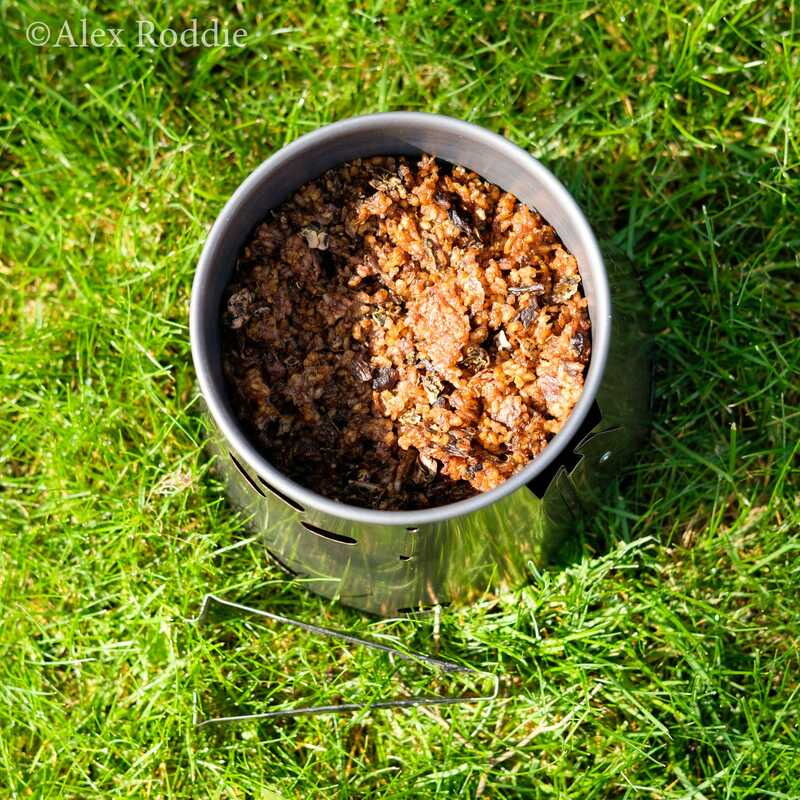 If you need high-calorie food for backpacking or alpinism at a minimum weight, I think you should give Firepot a look. Disclaimer: the supplier sent me a free sample in exchange for honest feedback. Thanks to Firepot for their support. I’m aware that my articles have been quite heavy on product news and reviews recently – that’s just a coincidence of programming, and doesn’t mean a change in direction. I have plenty of proper features on the way. For now, I hope you’re finding these reviews useful!